Lindsay Stanberry-Flynn is the author I must thank for inspiring this series of guest posts in the first place. I blogged a couple of months ago about her “Why I Write” series, in which she’d kindly included me (read that post here). I was pleased to be invited also to her most recent book launch, where Lindsay, an experienced teacher of English and creative writing, was clearly in her element. She entertained a packed hall of potential readers who between them bought nearly every copy of her books on sale there, including her previous novel. 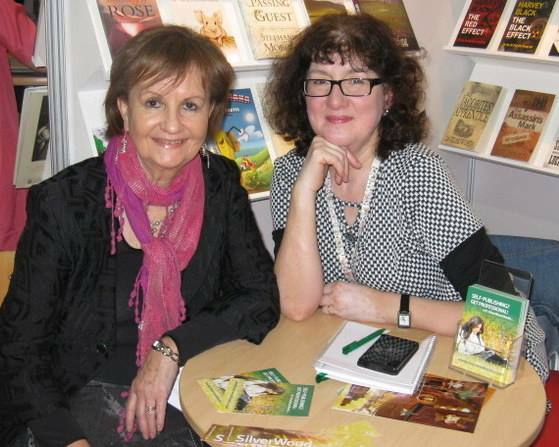 It was therefore no surprise when she revealed that her favourite way to promote her books focuses on connecting with the readers in many different settings, as my interview with her reveals. Lindsay Stanberry-Flynn: My favourite book promotion tip is to find ways to engage directly with readers. This can be visiting book groups, talks at libraries, and I was once commissioned to write a short story for a particular reading group! Lindsay Stanberry-Flynn: The talks in libraries have come about by various means. I’ll try to keep it brief and give a few examples. 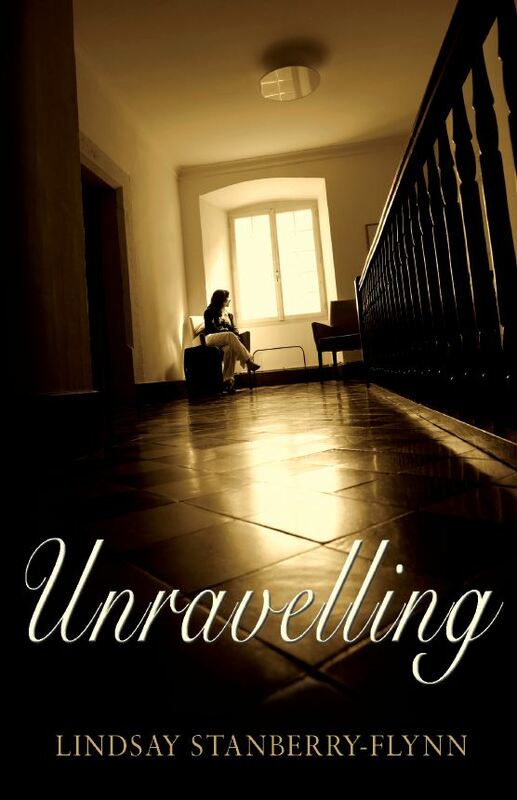 When I published Unravelling, I approached a library close to the college where I teach creative writing, (as I knew that would ensure at least a few people attended! ), to ask if I could give a talk on it. I met an incredibly supportive librarian, who set up a brilliant event. About thirty people came; they asked lots of interesting questions, and I sold lots of books. When my second novel The Piano Player’s Son came out last year, I went to my local library to tell them about it, and they invited me to give a talk on 23rd April as part of their World Book Night celebrations. I was also invited to another library on 25th. Recently, I was invited to take part in Warwickshire Libraries’ ‘Fantastic Fun with Words Fortnight’. I spoke at two separate libraries – on both occasions, several book groups had been invited – about my books and being a writer. Both were lovely evenings with wine, cake and, again, some great questions. Not only was I able to sell books, I was also paid to do those events! Lindsay Stanberry-Flynn: First, after spending so much time alone with my characters and their stories, it’s wonderful to meet readers who know those characters, have shared in their lives, and have opinions about their actions. Second, by engaging with readers, I’m promoting myself as a writer. As well as discussing individual books, readers are always interested in the writing process: Where do you get your ideas? Do you write every day? Do you have to wait for inspiration? The best promotion for books is word of mouth, and if readers feel they have shared in your creative process, they are more likely to become your advocates. Lindsay Stanberry-Flynn: As I’ve outlined in question 2, I’ve used it for both my novels. It’s probably most effective in the first year or so after publication, but when I discuss my most recent novel The Piano Player’s Son, I inevitably also talk about Unravelling which was published nearly four years ago. Lindsay Stanberry-Flynn: I’m always open to suggestions for improving promotional activities – I don’t feel marketing is one of my strengths – but, hoping not to sound too complacent, I feel these activities have been successful. Lindsay Stanberry-Flynn: I’m not a very good sales person. The thought of cold calling fills me with horror, so I don’t like anything that smacks of ‘selling’. In a crowded world, where so many seem to be shouting ‘Look at me’, ‘Buy me’, ‘Listen to me’, ‘Watch me’, my inclination is to hide away and write. But my books deserve better – there’s no point bringing them into this world and then abandoning them to their fate. So, I’ll keep trying to champion them. Lindsay Stanberry-Flynn: So far, I’ve resisted Twitter. Everyone says it’s great for writers. Last year, I even went on a day course on how to use it, but when I see all those tweets, my brain freezes over. I don’t think I can face it. But something I haven’t tried and would like to do is Pinterest. As I live in a world of words, I’m attracted to the visual aspect of it. I think it would be interesting and fun – two words I definitely wouldn’t apply to Twitter! Lindsay Stanberry-Flynn: After a difficult time with my next book (where I reluctantly had to come to terms with the fact that I had two narratives jammed into one), I’m now excited to be moving forward. The story I’ve decided to tackle first once again involves family relationships – like my two previous novels. It’s about the clash between personal ambition and family responsibility: in the current culture of self-fulfillment at all costs, and the prevailing wisdom that if you want something enough, you will achieve it, the story involves the fallout if the drive towards one’s own goal is pursued to an extreme. The provisional title of the novel is Phoenix. Thank you so much, Debbie, for inviting me to share my experiences of promoting my work on your blog. I’ve enjoyed answering your questions and remembering how rewarding the events I’ve described were. The positive side of promotion! Debbie Young: Thank you for taking part, Lindsay, and I’ll look forward to the launch of Phoenix! To find out more about Lindsay Stanberry-Flynn and to read her always interesting and inspiring blog, visit her website: www.lindsaystanberryflynn.co.uk. Great tips! 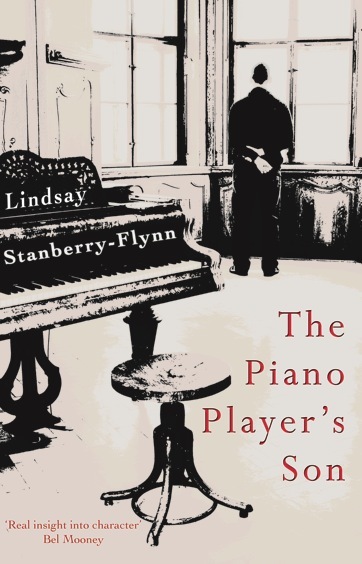 I’ve just finished reading, The Piano Players Son and really enjoyed it. Hoping to get a review done soon. Thanks to Lindsay for a great read and interview and Deb for hosting this slot. Thank you, Debbie, for inviting me to do the blog post and making me think about aspects of promotion I enjoy. I normally whinge about promotion, so this was great! Thanks for commenting, Francis. Glad you enjoyed the post (as I did yours a while back) and so glad you enjoyed The Piano Player’s Son. That was a really interesting read. Thank you Debbie and Lindsay. I struggle with self-promotion (I think most people do and aren’t we all a little wary of those who don’t? ), but I shall keep these words with me ‘my books deserve better – there’s no point bringing them into this world and then abandoning them to their fate’. Well done, Lindsay, that really sums it up and spurs me on. Thanks for that, Jenny. I think that is what keeps me going on the promotion. I believe in my books and want people to read them.